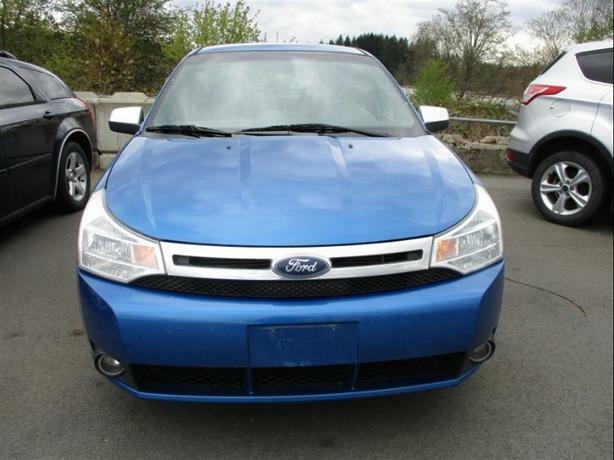 Check out this Ford 2011 Ford Focus SE that is an economic car with great things like heated seats, Sports Appearance Package and Bluetooth for your phone. With gas prices on the rise will be a blessing at the pumps. This Focus is powered by a 2.0l DOHC (Direct overhead cam) 4-cylinder engine that provides 140 hp and 136 lb-ft torque and offers a great combination of power and fuel economy. The Cabin is well laid out with everything in easy reach and with plenty of storage and pockets for all your items and it has all the feature that make like comfortable, like A/C, cruise control, power doors, windows, side mirrors and locks and AM/FM Radio with CD player and you have heated seats to keep you warm and comfortable. Open the trunk and you will find a surprising amount of storage and the rear seats fold down in case you need to put larger items in. This is a great commuting and road trip vehicle with plenty of room for passengers and gear. Call or email today to arrange to see this great compact sedan.